Editor's Note: As the Indian Republic turns 70, Tufail Ahmad begins a journey through the country to examine the working of democracy at the grassroots level. Inspired by the French author Alexis de Tocqueville, who toured America and wrote Democracy in America, the author — a former BBC journalist and now senior fellow at the Washington-based Middle East Media Research Institute — will examine how sociological realities of India and the promise of democracy interact with each other in shaping the lives of the Indian citizen. This report is the sixth in a series called "Democracy in India". Ajmer: On this trip to examine the workings of democracy in India, I met three senior citizens who are in their 70s-80s: Ram Bhuwan Singh Kushwah in Bhopal, Suryadev Bareth of Kishangarh-Bas near Alwar in Mewat region and Om Prakash Sharma in Ajmer. All of them have witnessed the inter-generational journey of democracy in India. Kushwah has forty years of experience in journalism and was part of the anti-Emergency struggle. Bareth is a highly learned person, was awarded Padam Shri in 1971 and has served as pradhan (panchayat head). Professor Sharma has taught political science for three decades at the DAV College in Ajmer. Since all three are well placed by the factor of their experience and age to comment on India's democratic journey, I asked them to comment on what distinguishes the early decades of our democracy from the recent decades. The first change seems to be the political parties opening wings in the name of minorities, Scheduled Castes & Tribes, and later women and Other Backward Classes (OBCs). Kushwah says that in the first few decades since the Constitution came into force in 1950, there were no wings in political parties, but by the 1970s, non-Congress parties began forming morchas (fronts) in the name of caste and religion. 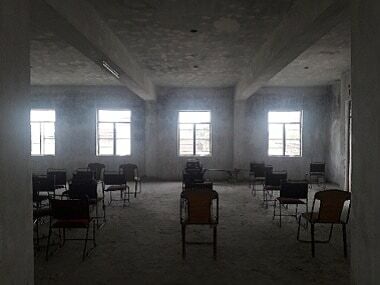 Kushwah, now associated with the Swami Vivekananda Kendra, recalls that in the 1970s when the Jan Sangh formed caste-based morchas, its members opposed this move, but today even the BJP, the successor to Jan Sangh, has established such morchas as a permanent part of the party structure. In reaction to the Jan Sangh, Congress too established SC/ST and minority wings, he says, adding that before this, such caste-based and religion-based "cells" used to exist only in the apparatus of government. It means that caste and minority, which were part of a constitutional mechanism to alleviate the backwardness of these marginalised communities, have spread from government institutions into the political culture of Indian democracy, and further into society. Consequently, with the march of democracy in India, we are also witnessing the growing role of caste and religion in causing social fissures in our society. This might also be due to the fact that democracy is empowering certain marginalised communities while disempowering communities which have traditionally held a grip on power. Caste is a good example to explain this. 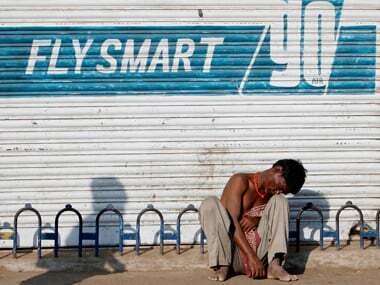 The 2 April Bharat Bandh organised by Dalit communities was met with a rival bandh on 10 April called by the upper, so-called general castes who demanded an end to the provision of reservation in jobs and legislatures. In this entire process, it is forgotten that caste has been effectively a system of reservation in Indian society for thousands of years. Nothing has changed this system, not even the quota offered under constitutional provisions. Professor Sharma observes that caste was not a factor during the 1950s and 1960s, but it has entered our political system now. 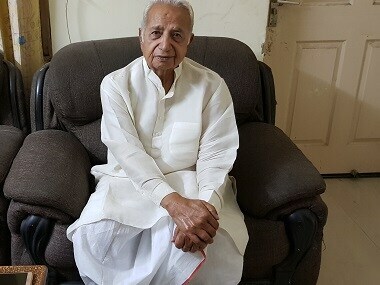 "Jativad (casteism) was started by Charan Singh from Uttar Pradesh," he says, adding that it acquired deeper roots in Indian polity when VP Singh decided to implement the Mandal Commission report on the reservation for OBCs. Sharma insists that while some groupism existed involving socialists and communists in our politics in the early decades of democracy, casteism did not. The third part of this series on the workings of democracy examined the turbulent cyclical relationship between caste and politics in India. About the role of religion which divided India in 1947, Sharma notes that while the politics of religion was fostered by Muslim leaders, it was also used by Sikh leaders like Master Tara Singh who had initially demanded a separate country for Sikhs and later limited this demand for a province. 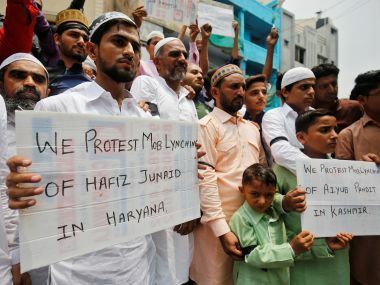 It is also the case that the Congress under Jawaharlal Nehru had been seeking the help of Imam Bukhari of Delhi's Jama Masjid right from the 1950s to garner Muslim votes. So, current political parties wooing Islamic clerics for votes may not be something new to Indian democracy. While the Congress held dominance over the Indian democratic system in early decades, several new political parties emerged subsequently. 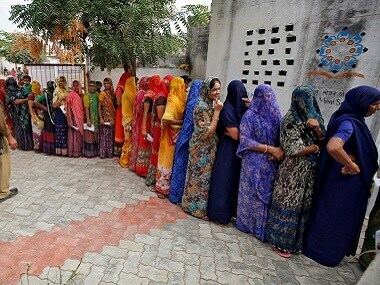 With the birth of regional parties in different states such as Andhra Pradesh, Bihar and Uttar Pradesh, the nature of Indian polity altered and a "multi-party system" began emerging. "As the new parties came up, they began thinking of their own interests," Sharma says, adding: "In the 1950s and 1960s, no one would even think so much of vote-banks as we think of now." The focus of political parties subsequently turned, he says, to building and entrenching their long-term vote-banks. Therefore, Indian democracy began changing fundamentally in the following respects: caste became a key factor in our politics; the use of religion in our politics continued despite the bloody experience of the partition; the proliferation of political parties led to the creation of vote-banks. Suryadev Bareth is an optimistic person even in the face of worst criticism. He notes that political parties are in the process of Darwinian transformation. "Caste and religion are not something new. Parties are expressive of new realities," he says, adding that India has made great strides given the fact the Islamic invasions and the British rule had created gaps between the rulers and the ruled. "In the 1950s and 1960s, power was concentrated at the top, but with the march of democracy there is a big devolution of power to districts and villages," Bareth says. He cites some achievements during past 70 years of Indian democracy: the gradual erosion of caste from social, if not political, life; spread of women's education across India, independence of the judiciary, positive role of the Election Commission of India, and legislative measures such as the Right to Information Act and the Panchayati Raj system introduced by the 73rd Amendment. He is right. As per the Ministry of Panchayati Raj, there are 2,48,752 elected councils at the village level, 6,307 at the intermediate level and 601 at the district level. There are 19 states which provide for 50 percent reservation of seats to women in Panchayati Raj institutions. Even though the elected women sarpanches are mostly represented by their husbands and sons in meetings, they are also learning along the way. In 2016, out of 29,11,961 elected representatives, at least 13.45 lakhs were women. This might be a silent revolution taking place in India. Its fruits will be seen in next few decades as more educated women take charge of village councils. 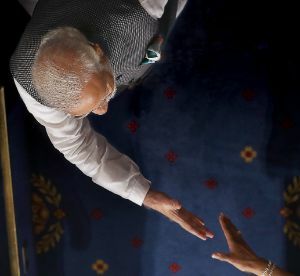 As I took his leave, I asked Bareth: Should the new generation of Indians worry about the use of caste, religion and widespread corruption in Indian democracy? Bareth writes Urdu ghazals. He said he once met a poet in the town of Tonk in Rajasthan and asked him, why is it that Tonk produces many Urdu poets? He got a reply: "Hamein daad dena aata hai (We the people of Tonk know how to praise poets)." He told me: "Logon ka savbhav hai ninda karna (people's character is to criticise). We should learn to appreciate our achievements."